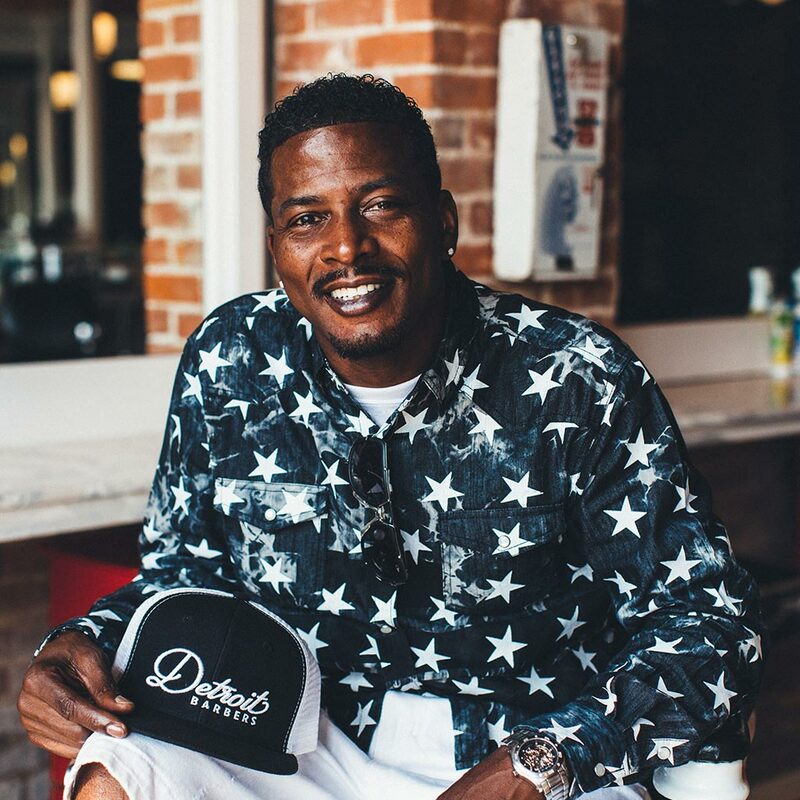 Day joined the staff at Detroit Barbers in September 2016 bringing along more than a decade of experience in the industry. He played football and attended St. Thomas University in Minnesota before switching into the industry. Trained in barber college in St. Paul, Minnesota, Day made the transition from salon to barbershop with ease. He might be the most recognizable member of the team, especially for those fans of the hit film 8 Mile. He’s an actor and a model whose likeness has been featured all around town in ad campaigns. Day is known best for his precision. He’s dedicated to executing the latest trends and styles using old school techniques to perfection. A Detroit resident, when he’s not at work you’ll find Day shooting pool or bowling. We dare you to challenge him to a game.